Joint General Secretary of the ruling Awami League Mahbub-ul-Alam Hanif, on Monday said BNP chairperson Begum Khaleda Zia, in her recent statement, cleared that her party has no organisational strength to do anything against the government by launching any movement. "They (BNP-Jamaat combine) have waged many movements time and again. Now they have been searching for solace in their minds to achieve any sort of thing by taking part in the ensuing pourasabha (municipal) polls after failing in their so-called movements," he said. Hanif said this while speaking at a press conference at the political office of Awami League president Sheikh Hasina at Dhanmondi in the city. The ruling Awami League convened the press conference to give reply to the recent statements of Begum Khaleda Zia, reports BSS. Exchanging pleasantries with leaders of the Christian community on the holy occasion of the Christmas at her Gulshan office on Sunday night, Begum Khaleda Zia said, "The government should be hit not through movement but through polls." The Awami League joint general secretary said, "I strongly believe that people of the country would ensure her (Begum Zia) defeat in the pourasabha polls to shatter her desire to hit (attack) the government through movement like they thwarted her movements in the past." In reply to Begum Zia's comment that people of any faith are not safe during Awami League's rule, Hanif posed a counter question pointing at Begum Zia asking whether she repents for atrocities and repression let loose on the people during her rule from 2001 to 2006 and whether she would seek apology to the nation for her anti-people activities. He said what might be more unfortunate than this as she has repeatedly been resorting to falsehood without seeking apology to the nation. 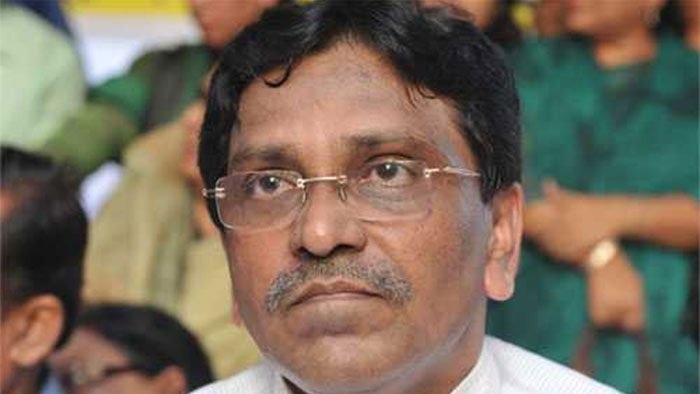 Referring to recent remarks of Khaleda Zia about the Prime Minister, Hanif said, "I believe that people now understand that Begum Zia herself has lost mental balance. Because, she could not realise what she was uttering after becoming mentally imbalanced." Calling upon the Election Commission to be stronger preparing a level playing field for the municipal polls, he said, "We have witnessing over the past few days that allegations of violation of election code of conduct were raised against those, most of whom were Awami League-backed candidates and AL leaders, which were one-sided allegations." But, the Awami League leader said, "Action was not taken against any BNP leader-worker though there were many allegations against them. So, I hope that the Election Commission would come up with similar attitude to all in the fray." Awami League joint general secretary Dr Dipu Moni, organising secretaries Ahmed Hossain, AFM Bahauddin Nasim and Khalid Mahmud Chowdhury, publicity secretary Dr Hasan Mahmud, health and population affairs secretary Dr Badiuzzaman Bhuiyan Dublew, labour affairs secretary Habibur Rahman Siraj and office secretary Dr Abdus Sobhan Golap were present among others.